A US federal judge dismissed claims against seven former directors of Satyam Computer Services Ltd in shareholder lawsuits stemming from the massive fraud at the heart of India's largest corporate scandal. US District Judge Barbara Jones in New York ruled on Wednesday the lawsuits failed to allege that the ex-directors recklessly failed to discover the fraud, which came to be known as "India's Enron." The lawsuits center on the revelation by Satyam's founder and former chairman, Ramalinga Raju, that what had been India's fourth-largest outsourcing firm had for several years inflated its revenue, income and cash balances by more than $1 billion. In her decision Wednesday, Jones said the allegations primarily focused on the actions of a small group of insiders, reinforcing an inference the audit committee's members "were themselves victims of the fraud." Lawyers for the directors welcomed the decision. "It was truly unfortunate that these directors, diligent individuals of the highest integrity, were ever named as defendants," said Irwin Warren, a lawyer for five of the seven directors involved in the case. Gordon Atkinson, a lawyer for former board member Vinod Dham, in an email said the decision would hopefully help vindicate his client and the other outside directors, "who were themselves victims of the Satyam fraud, not perpetrators or otherwise responsible for it." Lawyers for the plaintiffs did not respond to requests for comment. 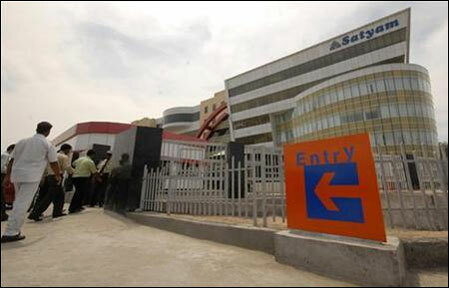 Satyam shareholders began filing lawsuits in 2009 after the scandal broke. In 2011, Satyam, now called Mahindra Satyam Ltd, and its auditor, PricewaterhouseCoopers, agreed to pay $125 million and $25.5 million, respectively, to settle claims filed by shareholders. That same year, Satyam and PwC agreed to pay a combined $17.5 million to settle claims made by the US Securities and Exchange Commission and Public Company Accounting Oversight Board. The 2011 settlements did not include Satyam's former directors, who continued to litigate the case that ultimately ended in Wednesday's ruling. In her ruling, Jones also said the investors could not file claims arising from stock purchases made on the National Stock Exchange of India, citing a 2010 US Supreme Court case restricting investor claims in US courts involving stocks bought on overseas exchanges. Investors had also filed claims involving Satyam American depositary shares, which were not impacted by the Supreme Court ruling. The lead plaintiffs include Public Employees' Retirement System of Mississippi, Mineworkers' Pension Scheme, SKAGEN AS and Sampension KP Livsforsikring A/S. Jones also dismissed claims brought by a former Satyam employee on behalf of employees who exercised stock options. The judge also voided claims on jurisdictional grounds against two companies owned by the Raju family - Maytas Infra Ltd. and Maytas Properties. Adam Finkel, a lawyer for Maytas Properties, in an email said his clients were pleased with the decision. The case is In re Satyam Computer Services Ltd. Securities Litigation, US District Court, Southern District of New York, 09-2027. Stocks corner: Your questions, our answers!